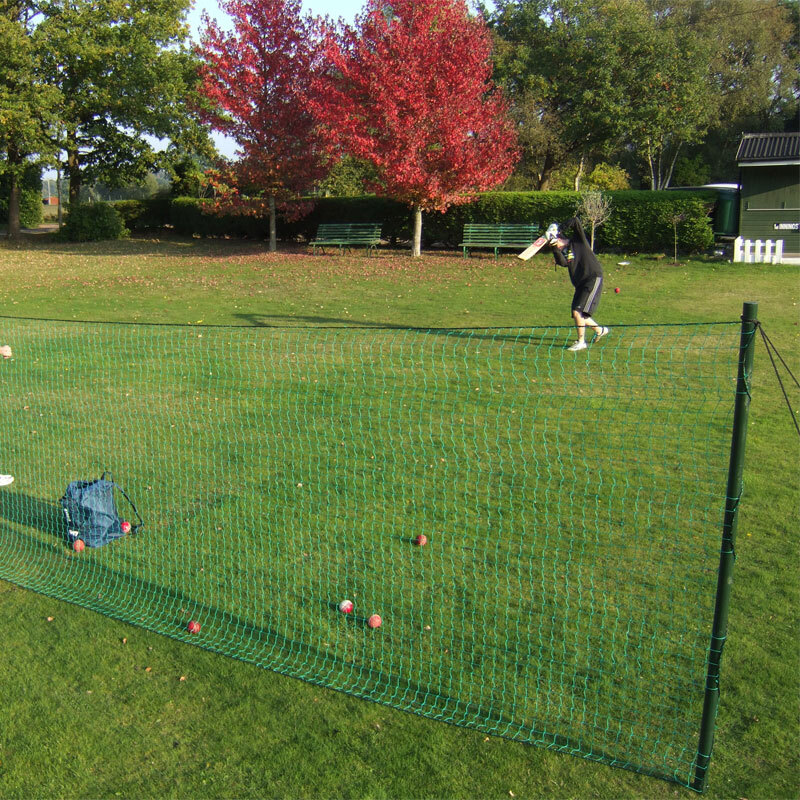 The Harrod Sport ® Cricket Throw Down Net System are a quick and easy net system which 1 person can set up in minutes for cricket pre-match warm-up practice. 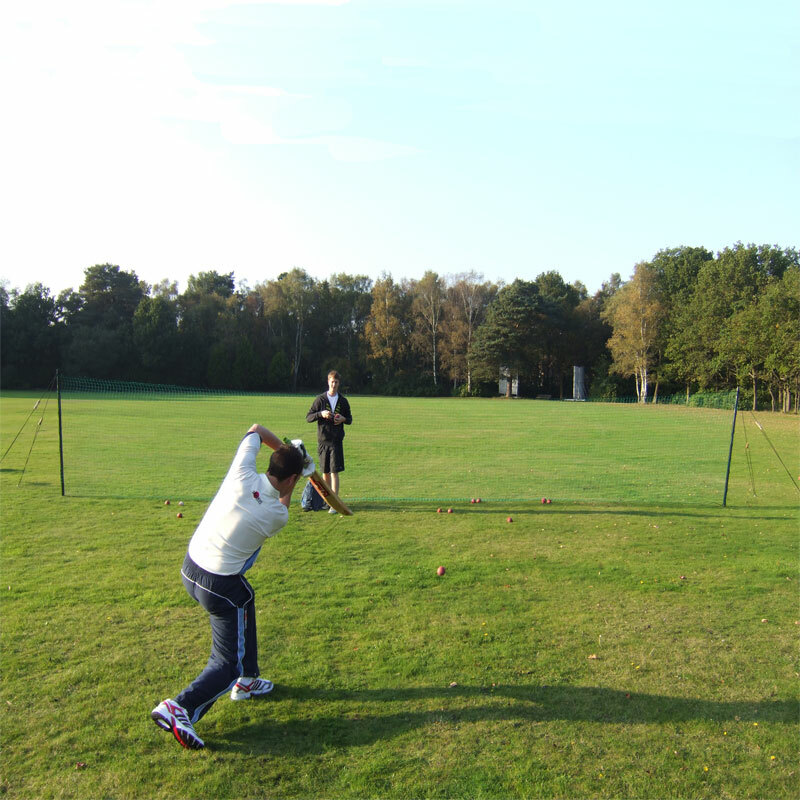 Suitable for the outfield, whether for batting, bowling or fielding, this versatile net can be used for many different cricket practice drills. 50mm diameter round wooden poles with ferruled tops, spiked ends and painted green. Guylines, runners and 300mm iron ground pegs. 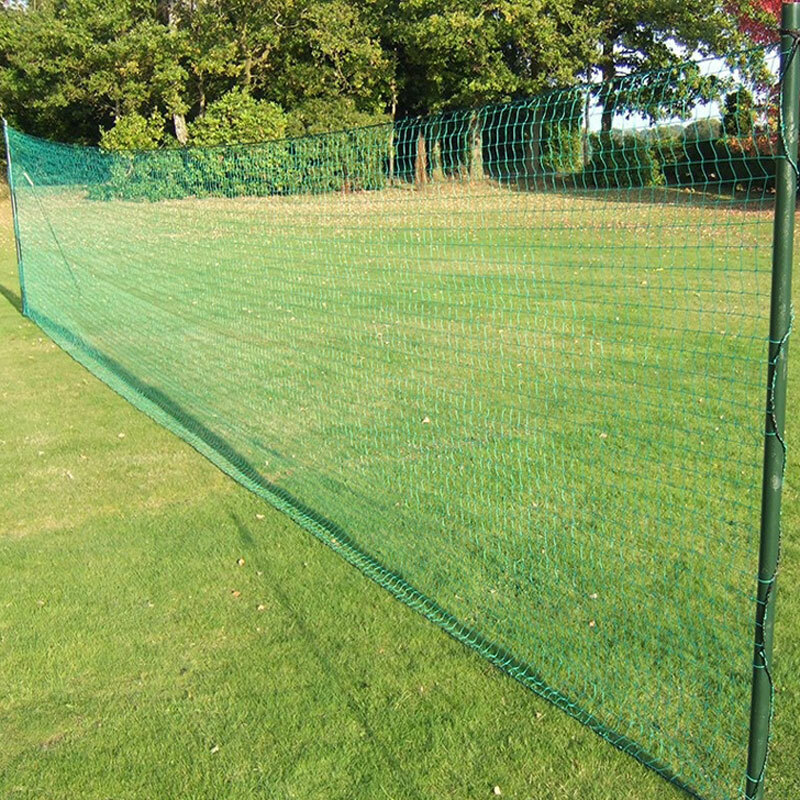 Quality 50mm x 2mm thick polypropylene cricket netting.